With some help from Horada and a young girl named Tammi, Leia manages to escape Tagge. Tammi asks if she wasn't afraid, and Leia says that that if you believe in something enough, you do it anyway, especially if everyone else says it impossible. 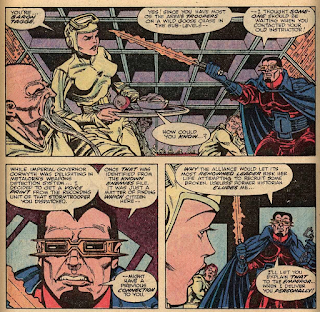 With that, Leia leaves the planet, as Tagge explains to the governor that he has to keep the incident quiet, and not execute Horada, for fear of confirming the Rebellion's existence to the population. As Leia races away from the planet, she explains to the pilot that despite Tagge's interruption, she was successful in her mission: the people of Metalorn were shown the Rebellion is still fighting, thus encouraging them to stand up to the Empire, however quietly, and more importantly, to have hope. 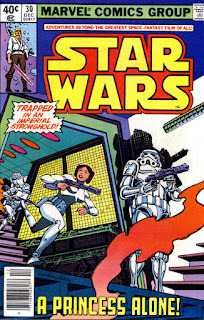 Following the Luke solo story in issue #27, the Han/Chewbacca story in #28, and even the Darth Vader one last issue, Princess Leia gets her own spotlight story in this issue, and is the only one of the main characters to appear. 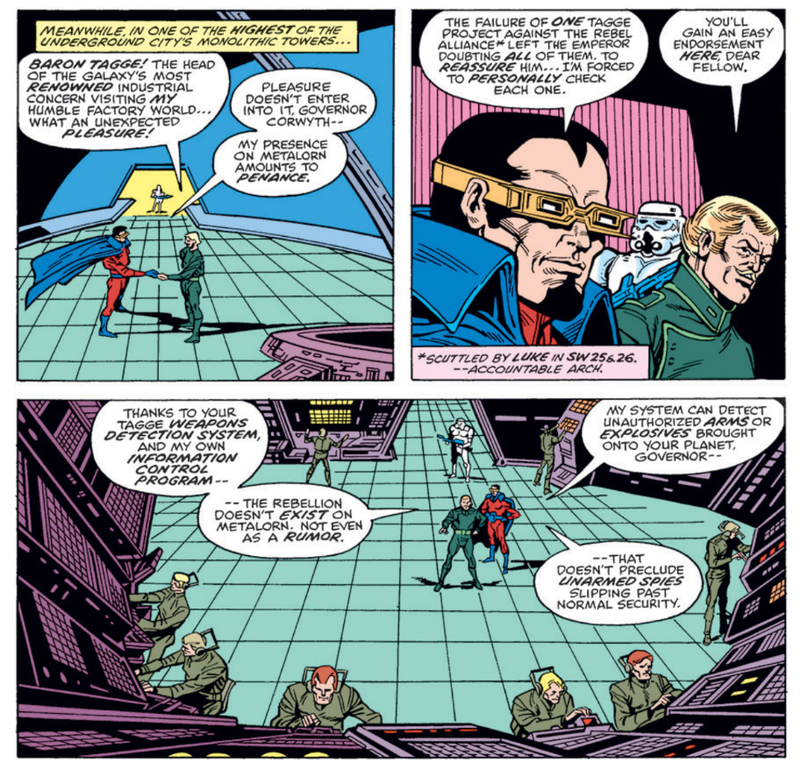 Baron Tagge appears in this issue, personally inspecting an Imperial mining operation as a show of faith to the Emperor after his failure during the siege of Yavin, and it's really fun to see him popping up in an issue without being the central antagonist or focus of the story - it helps make the world of this series feel bigger and more developed. 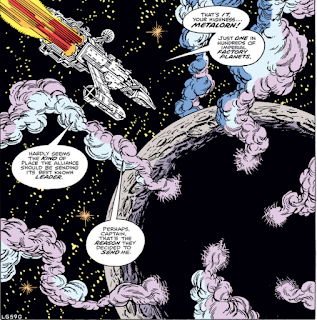 This issue takes place on Metalorn, an Imperial factory planet in which the population is forced to mine ore for the Empire. 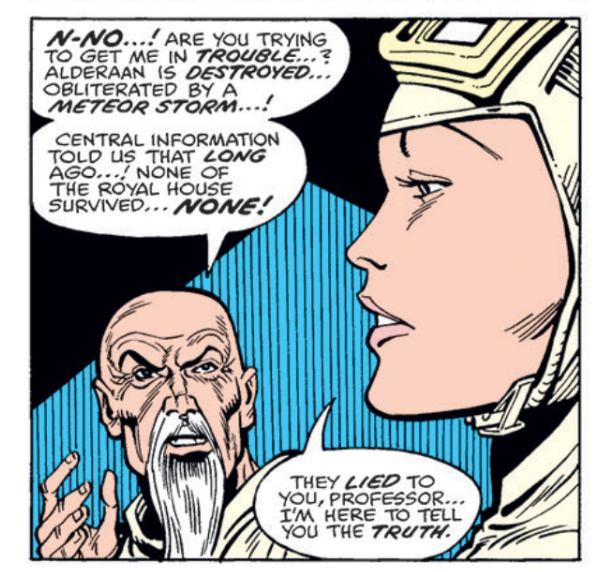 As with the resort world damaged by the Empire in the previous issue, it continues to help show just how bad the Empire is. The Alderaanian Leia meets insists that Alderaan was destroyed by a meteor storm, as that's what the Empire told them happened. While this story may be contained to just this planet, it's another example (along with the idea that the Empire hasn't publicly admitted the Death Star was destroyed, mentioned in issue #25) of how the Empire is controlling the flow of information and covering up the events of the film. 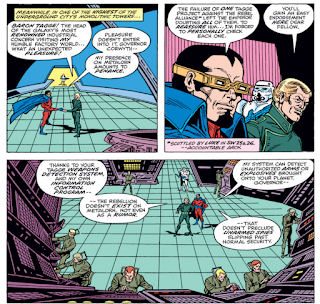 Since the conclusion of the multi-part "Wheel Saga", Goodwin & Infantino have settled in for a series of one- or two-part stories, each one building from or setting up the subsequent issue, but standing relatively alone on their own merits. 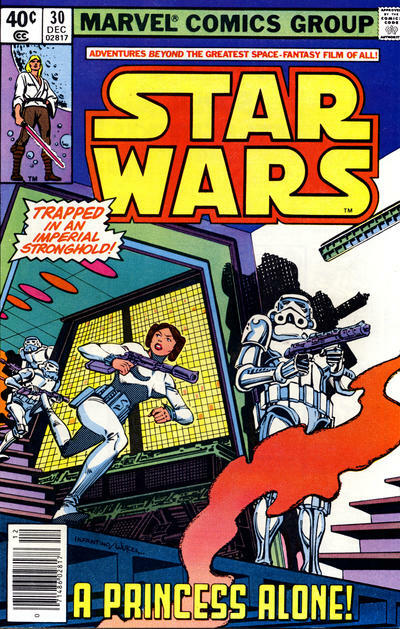 But this is the first such issue, and really the first issue of the series, to function less as an ongoing chapter in the Star Wars narrative or further the development of the main characters, but as a thematic parable. Ostensibly about Princess Leia's solo mission (set-up in the previous issue) in which she attempts to help start a Rebellion on an Imperial mining world, it's really about some of the core themes of the Star Wars saga: the power of hope, the inability of any system, no matter how well-designed, to exact full control, that ideas can be as powerful as weapons. The central metaphor is a bit obvious (Leia is planting the seeds of Rebellion in the seemingly-infertile soil of the Imperial-subjugated population, just as the young girl was insistent in planting seeds in the fallow soil of the planet), but no worse than what can be found in contemporaneous comics (and Star Wars has never been terribly subtle besides), and the idea that Leia's mission wasn't to smuggle in weapons or extract an important Rebel, but just to show this population of virtual slaves that rebellion is possible, that the Empire isn't invincible, that there's hope for a better world, is really great. It's quite simply exciting to see Goodwin & Infantino willing to try this kind of story. If you wanted to give a single issue of this comic to someone to show, not necessarily what Star Wars is about, but what it's trying to say, this would be the one. 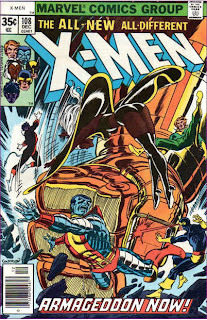 Chris Claremont returns for the series first annual! I agree with the kudos on how this story, and this run of issues in general, does a nice job of fleshing out the Star Wars universe — with Leia so competent in action on her own as a satisfying bonus. In a flashback to Leia’s childhood in Episode VIII, Arn Horada will be played by Tilda Swinton. Always nice to see Leia in action. The first movie showed us she was capable, but she still spent most of it in captivity or on the sidelines. I appreciate when fiction from this era gives her a bit more to do.